Home Archive by Category "Others"
As per the latest news from Russia Today, under next 48 hour, some users may experience network failure in the browser or in a mobile application. As per Gulshan Rai, National Cyber Security Coordinator there will be no internet disturbance in India. The report of ANI due to maintenance Internet Corporation of Assigned Names and Numbers (ICANN) will change the cryptographic key that helps protect the internet’s address book or the Domain Name System (DNS). As incidents of cyber attacks are rising, the countermeasure has been taken and will be implemented in the next 48 hours. As per ICANN, 98% of user will be unaffected with this updation in Internet protocol. The impact of the updation has been resolved and there have been minor issues experienced by users. The ANI report quoted Communications Regulatory Authority (CRA) saying that the global internet shutdown was necessary for establishing a secure, stable and resilient Domain Name System. 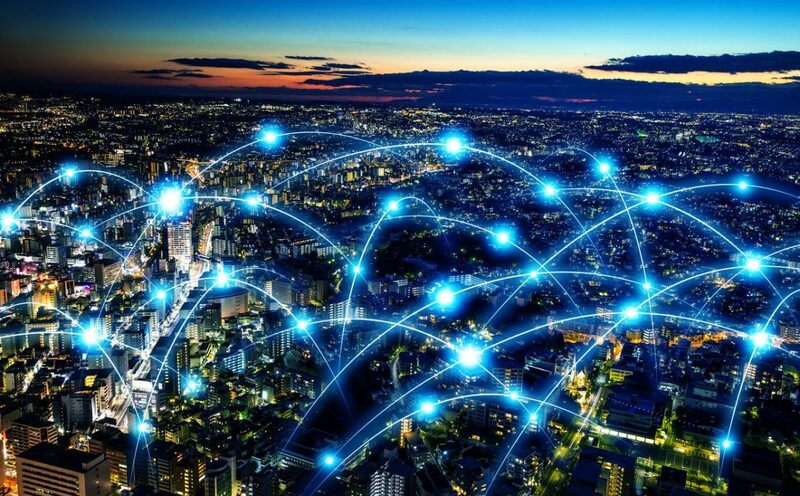 “To further clarify, some internet users might be affected if their network operators or Internet Service Providers (ISPs) have not prepared for this change. However, this impact can be avoided by enabling the appropriate system security extensions,” it said. So, you have a fabulous looking app, right? It looks good, captures your business essence well, and is the showcase of your products! You marketed it well. Hey, but when it went out to the market, everything turned topsy-turvy! After a month of sitting out there, people just didn’t use it enough! Why? What could have possibly gone wrong? A lot many things perhaps! Let’s take it from the beginning! You are not going about to paint the whole world blue. Find a niche target and focus there. Once you know who, get into what they want. Get their likes and dislikes on to your mind. Be on top of their needs. Go over this info again and again in different ways, looking for newer insights. Talk to them, formally and informally. Time spent now will be cost saved. Does your app ask users to register first and use later? You will turn away more users than you can possibly imagine! People want to see the app, get a feel of it and then register if they like it. Use this mobile app strategy. You got to be quick, nimble, and bug-free. Users lose patience with instability and app crashes can quash your app’s chances completely. Taps, pinches, and clicks on their smartphone screens – humans tend to do these a lot with the apps. Does your app react to these? When you hire a web developer, capture every gesture and respond quickly to engage better. Move over the SEO concept from the web! An app’s data for its keywords will pull up its rank in searches. Meta-data for your app must contain these which can pull high traffic. Research well for these crucial keywords. Capture screenshots from Google Play or Apple App Store. Use these in ads, banners, and marketing campaigns. Your app icon can have these shots as its neighbour when you want to say your story. People tend to recall images more, so use visuals from actual app for maximum realistic effect. It is wonderful to be agile and send out your app for live feedback. But did you test it enough? If you didn’t and your app crashes on the first load, you can say bye-bye to a happy user acquisition! Strike a balance between being early and being thorough. Don’t be over judgemental and emotional about your app. Each app is there to serve a purpose. The life of an app may be short-term or it may be longer. Once you have got this straight, plan your app accordingly. The world of apps is now a huge ocean of digital programs. Here app development has mostly delivered end-to-end functionality and a holistic experience. This concept stems from enterprise software legacy that businesses were always used to. These legacy software solutions focus on ‘completeness’ of an entire function or process. Apps were till now the mobile counterpart of such desktop/laptop applications. Such apps take a lot of time to plan, design, develop and deliver. At times, the dynamically changing requirements may actually lose their relevance. This can happen when the app for the problem at hand is delivered too late. Also, app development is a time-consuming and costly affair in such a case. Move over and make place for a new avatar – the micro app! If you are thinking of engaging with a mobile application development company in India, read this. Look for one that allows you to hire android programmers with experience of micro app development. What is a micro app? A micro app is essentially a target oriented application. It aims to deliver a specific functionality to a limited set of users. It is a great strategy for businesses for their mobility plans. It allows users to engage in a small role-based interaction. It also performs the relevant task, gives the output, and exits the interaction. These mean that micro apps are very efficient and very small software programs. These are like the desktop utilities that assisted system administrators to indicate specific report. For instance, the free memory or disk capacity at a given time is a report. The world of micro apps can enthuse a fresh energy when you want to hire Android programmers. These developers have the skill to bring out a micro app in a very short span for you. The micro app can be ready in such a short time due to a host of support tools available in the market. These tools aim to improve efficiency, quality, and productivity of android application development companies. This is possible due to the availability of cloud-based application development tools. Such virtual environments are high on functionalities and low on cost. 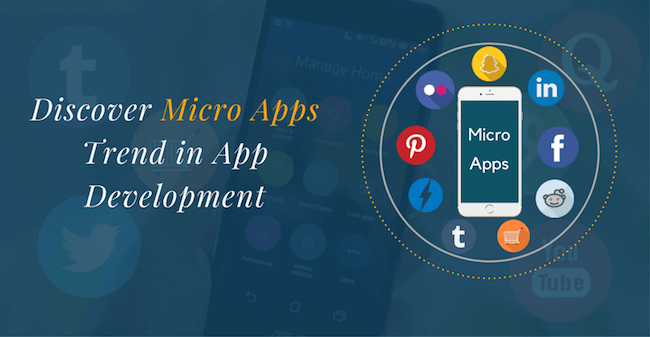 Thus, micro apps can be built quickly and are not too expensive. How can it fit into an organizations strategy? An enterprise should perhaps break a standard standalone application use-case into smaller target based micro app. Each micros app can address different types of users with different types of services. When one wants to hire android developers for a micro app, one must ask if they have experience in using these tools. Rapid Mobile App Development is a technique that uses code-free application development for mobiles. Many RMAD tools are now available as friendly GUI web-based models. This means that developers need not have deep technical knowledge. Rather, a deeper understanding of the app design and expected behaviour is needed. It is more important to focus on UX rather than pure coding experience. Micro apps are best suited for internal staff as well as target customers. On-demand data is the growing ask of employees and end-users. Micro apps are thus the best quick wins that can help enterprises to tap into single purpose solutions. They can address specific problems by digging into their back-end systems, applying limited intelligence and replying back with the desired information. It has far-reaching benefits into higher employee and customer satisfaction levels. This is an underlying but important factor that builds trust and thus stronger relationships. 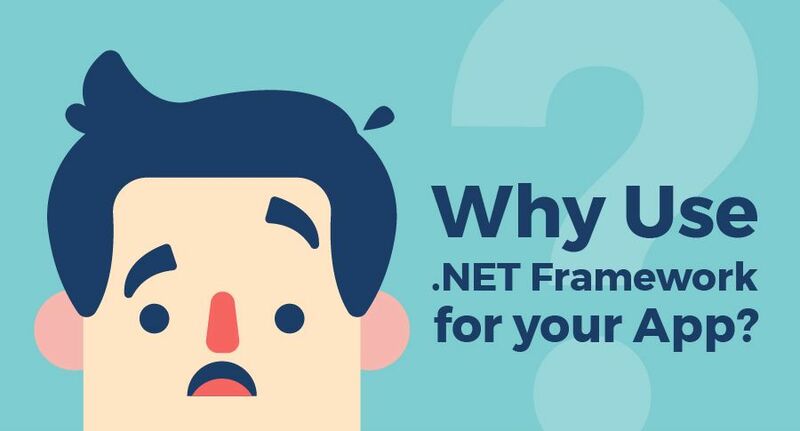 Why Use .NET Framework For your App? While it is imperative that you need a robust and well-designed to engage and connect with your users on the mobile app, do you find yourself at a loss when it comes to choosing various development frameworks and technologies for your app development? Vendors and companies that use ASP.NET for web development may present various features that may confuse you. Here are some of the points that you must consider when you decide to choose a platform. It must be scalable, have a strong community of developers, cross-platform support, and have language interoperability, to name a few. .NET framework is a programming model and a platform that supports smooth development, building and execution of apps. When you go to hire .NET developers for your app development, you will find a number of features of .net framework. The IDE used is preferred primarily as Visual Studio – a strong and stable environment, since the system has been around since 1990’s. The environment supports smooth and safe execution of software and this helps in convenient deployment after development. It is an OOP based framework, hence the focus on modularity and code reuse is high. 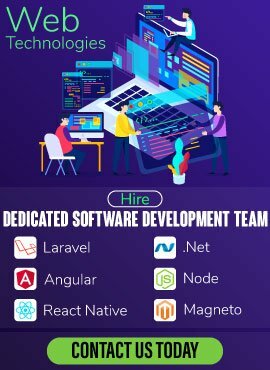 A rich set of libraries will help when you hire ASP.NET developers in India easier as the entire process of app development becomes faster. The backbone is the access-secure Microsoft framework and ecosystem, hence apps developed in .NET are secure with features like role-based security. The same app or website can be simply ported across various platforms and devices with minimal changes using the ASP.NET web programming. The same framework helps your app to connect with databases, websites, backend, and a host of other software systems for a seamless backbone on which to augment the capabilities of your business solution. So, the developers have to focus on your customization needs and not bother about the basic connectivity and integration aspects. The integration with legacy systems is based on the conversion to standard types with open interfaces such as XML documents and this is one of the reasons that .NET is a natural choice for many companies. The servers and the ecosystem is backed by Microsoft community and is quite reliable and robust. The platform supports easy development of cloud-based apps, using Microsoft Azure as its preferred environment. There is a rich set of many API’s that enable development of hybrid or native apps. Apache Cordova is an example of one such hybrid container. These are available as templates in Visual Studio for quick project development. Similarly, platform specific SDK’s with access to device API’s can be used directly to create secure and high-performance native apps when you hire ASP.NET programmers in Mumbai. Of course, it all depends on the ability of the team that can make use of the gamut of facilities made available by .NET. To extract the maximum benefits, you can consider whether to hire web developer expertise by outsourcing or augmenting to an experienced mobile development company in Mumbai who can help you make scalable and engaging apps for your business. In this world of apps and yet more apps, every business that needs to go online is looking for ways to create its idea into a successful app. There are thousands of people across the globe who can make a fabulous app for you, yet it can become a Herculean task to try and find the right skills to meet your requirements. If you find yourself trapped between the horns of a dilemma, you should weigh out the pros and cons of hiring the skilled staff yourself or outsourcing the work. And if you are a start-up, cost-effectiveness is obviously high on your cards. Outsourcing scores miles ahead in such a case, as you are not bound with salary, employee benefit liabilities, and infra-costs to accommodate new inhouse staff, besides going through the botheration of finding the right talent. Outsourcing for your mobile application development strategy has now become very convenient with the advent of disruptive platforms like Applancer. It is an innovative web-based community of web development experts and project owners. It is much more than just a web app development marketplace. It is a ready assistant for project owners that helps them meet many prospective iPhone developers or Android developers, enables them to evaluate the various options and then make the right selection. It is also a community that gives you the latest insights and news in the form of unique and non-plagiarized content about the latest trends, technologies and success stories from around the world. This content is developed and curated from the community experts of cutting-edge mobile app strategy. App developers – both freelancers and web development companies. Project owners (entrepreneurs, business owners) – who seek to turn their ideas into successful apps. The quality of developers and companies that Applancer brings on board is based on detailed research about their capabilities. You can in fact check out their previous work by visiting their websites and even trying out their past-delivered apps. The selection criteria for onboarding freelancers is quite stringent and thus Applancer does the research-based screening at the first level itself, creating a community of top-quality talent. It ensures a certain degree of reliability and security for both ends. Keeping the project owners’ money safe till they are satisfied with the delivered product goes a long way in ensuring you pay only for what you ask. For the developers, their code stays safe before ending the project. It also acts as a mediator in case of conflicts or disputes. Applancer ensures that the world of opportunities is not limited by your own capabilities, rather it opens up the world community of expertise for you. The costing of hiring expertise goes down drastically when you use Applancer. You can pick and choose your dedicated team from more than one source or geography and ensure that everyone on your team works in collaboration using the platform as a backbone framework. The work isn’t done after simply delivering the app – Applancer ensures that all responsibilities from handover to training and even support is dealt out in a robust environment. This helps create trust and mutual cooperation throughout the life-cycle of the development. Developers can thus concentrate on making a fabulous app in a healthy and cordial working environment where they feel motivated to deliver their best. 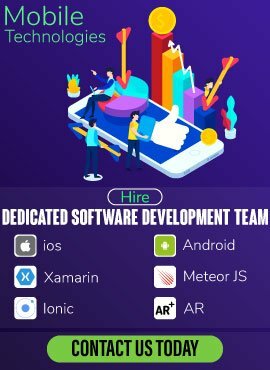 Applancer has built handy tools to empower mobile Android app developers and iPhone App Development Company in India and across the world for prototyping, UX design, and app development tools for both Android as well as iOS, customised for the specific business domains that are need them. Applancer is a smart out-of-the-box-solution that is set to change the ecosystem for iPhone and Android app development in India and also across the globe. 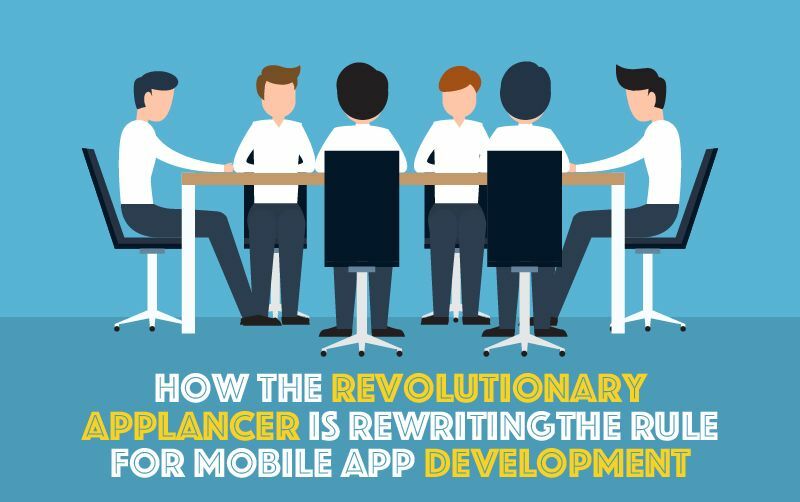 The force behind Applancer is always looking for better ways to make mobile app development an open stage, bringing in more transparency, accountability and higher levels of service quality, riding on the digital interconnectedness of the virtual world. Into The Future With Smartphones- What changes/upgrades to expect? Smartphones have become an essential part of our lives. Not to be looked at as a simple communication tool, it can easily be considered as one of the most touted accessories. Along with the facilities that the cell phone offers, it is also seen as an element of elegance. Cell phones have kept changing our perception of communication since their inception in the early 70’s. The features once considered as a matter of science fiction, are now a standard accessory in the cell phone today. Replacing the traditional camera, calculator, clock, music players and a lot more, the cell phone has now become the ultimate multi-functional tool. Offering a variety of options other than communication. Considering the rapid transformation in mobile technology nowadays we can assume as to where the mobile phone is heading. It won’t be long that the mobile phone will replace the traditional computer as well. There is a lot more stacked for the consumers in the future with the rapid advancement in mobile technology. Movies like the ‘Terminator’ have showcased how machines try to wage a war against humanity and how these intelligent assistants help humans save the world. Naa!! Let’s just keep it to the movies because this is not happening. But surely it is not too long when the cell phone will become a robotic partner/assistant for the humans. The intelligent assistants like the Cortana, Siri, and the Google assistant have a lot to offer. Currently, the assistants help us in finding directions, surfing the internet and a lot more. With these technologies constantly growing we are sure to see more human-like assistants in the near future. The smartphone giant Samsung has been showcasing its robust concept smartphone that was so flexible, it could put your yoga guru to shame. These concept phones can be folded in two by the users. Making the cell phone even slimmer and lighter to easily carry around. It will surely be a while before we see these paper like slim cell phones in the mainstream market. Samsung released a less flexible cell phone some time back which sold disappointingly. But this is one change we highly anticipate in the smartphones of tomorrow. Replacing the age old education system. The cell phone is a huge success among the youngsters and is growing even more popular day by day. You can get information on almost everything on the internet today. Thus, making it easy for the students to gather information on their own. They are not dependent on the teachers solely for information. Saving paper & in turn the environment would become easier and much more realistic with the increase in the cell phone usage for education. Imagine phones with removable cameras, removable speakers, screens and a lot more, wouldn’t it be a lot more fun. Seems like a scene from a science fiction film, isn’t it? No, it is not. Recently, Google announced its much anticipated ‘Ara’ project. The Google Ara is one of a kind smartphone, wherein the user will be able to replace the hardware of the phone which will be available in modules. Modular cell phones already available in the market like the LG g5 and Moto z/ Moto z play have created a huge buzz. We are sure to see some more modular competition in the future for sure. We can see the amount of impact that the cell phone has put on our lives since its birth almost so much so that is has become a part of our body it seems. As the technology develops more and more we are sure to experience a great technological ride in the near future. Big Data essentially suggests to enormous amount of data that, when joined, surpasses points of confinement of conventional advances and procedures to make the information valuable. Right now organizations face critical difficulties in terms of V3 genuine mix and coordinated effort. That is a colossal missed opportunity. There are three “Vs”. Volume suggests to the quantity of information sources and the sheer volume of information put is expanding exponentially, Velocity suggests to the coming in great speedier rate than a large portion of us can envision and Variety suggests the distinctive sorts of information – both organized and unstructured. Whatever Vs say, we have to know where the information is and have the capacity to get to and comprehend it anyplace, whenever. Without that capacity, you’re continually looking in the back perspective reflect and discussing what was rather than what can be. Can we have knowledge into existing information emulated by premonition? Will Big Data empower us to quit taking a gander at business from what has happened till now (Descriptive) and why it happened (Diagnostic) and begin looking with a more proactive methodology (Predictive) that asks, “What will happen and in what manner would we be able to get it going?” (Prescriptive). Case in point Can we have a 360 degree perspective of your clients concerning their influencers and practices which prompts achievement business? Information created from business forms. It is hard to unite information crosswise over diverse information storehouses. Will putting away more than 90 days of information not get to be lavish? We have to accompany the procedure for discovering esteem in the information and the methodology for including dissection into the business. it is imperative that process begins little and quick and fabricate validity. The procedure needs to utilize great visualizations to tackles an information venture. The group needs learning of the issue space and one information researcher. Each colleague ought to have the capacity to force their information and do some basic dissection. They likewise ought to be raised on rate on the space learning asap. This group ought to have a chief or C level official as colleague to impact and make required changes ready to go methodologies of the undertaking. Machine learning or Data Science can’t supplant individuals. When you collect content, the volume, speed and assortment of data getting gathered is testing individuals’ capability to oversee it.